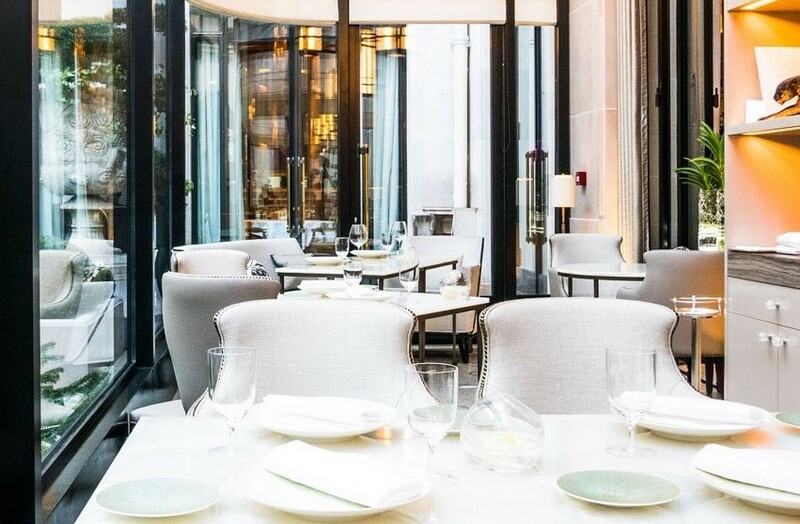 Located on a charming side-street and just meters from the iconic Champs-Élysées lies the Michelin starred L’Orangerie. Homed within the luxurious Four Seasons George V Hotel, this modern French restaurant is the perfect spot to experience Parisian opulence. 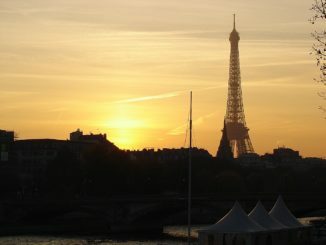 I was in the City of Lights for my wife’s birthday and had booked a table for dinner to celebrate. Once through the flamboyant hotel lobby we were seated in the restaurant to the east of the hotel. The first thing that I noticed was the impressive high ceilings which were complimented by Pierre-Yves Rochon’s beautiful interior design. An elegant mosaic with plant motifs coated the floor, and sizable Lalique lamps adorn the interior of the restaurant. Once seated I noticed that the soft music travelling around the room was coming from a skilful pianist to the back of the restaurant. Just feet away from our table was a softly illuminated Marble Courtyard. My host informed me that it took over six months to build the seven-metre-high glass and steel structure which towered before us. It was clear on first impression that the scene that I found myself in was created to the finest detail; with every furnishing in the room serving a practical or visual purpose. I triumphantly looked at my wife as she absorbed her surroundings appearing impressed. There was a long way to go though. Typical to any restaurant with Alan Taudon at the helm, the menu reflects a chef who has a taste for travel and who likes to seek influence from afar. Originally from Limoges, Alan grew up not far from his grandparents who were the village farmers. As a result, the first cooking he experienced was from the garden with meals only prepared from the vegetables, sheep, rabbits and chickens housed on his grandparents’ land. It is here, at a very young age that he discovered the importance of quality produce. His love for cooking and sharing grew through long family meals where meal-times were always synonymous with moments of sharing and generosity. This was the beginning of a love for food which would travel various continents, including time working in the island of St Martin; and he uses these worldly influences to add new dimensions to his distinct style of modern French cooking. Browsing the starter menu, Alan’s worldly influence becomes obvious. The first dish which I opted for paired Irish Bay Prawns with a Japanese yuzu broth. Despite a lack of global attention, the Dublin Bay Prawn is regarded as one of the best available and I could taste why. Prepared beautifully they gave-off a delicate sweet taste which was only enhanced by the vibrant citrus flavoured broth; offering a subtle punch and serving as a semi-palette cleanser. Other options to start include a creamy sea urchin, a beetroot and eel dish and eggplant with fresh herbs. The main course offered us a broad range of fish and meat dishes of which I recommend the delightful Red Mullet. The blushing shades of red from the fresh fish ensure that the dish arrives at the table looking visually compelling; particularly alongside the tomato gnocchi with which it is served. 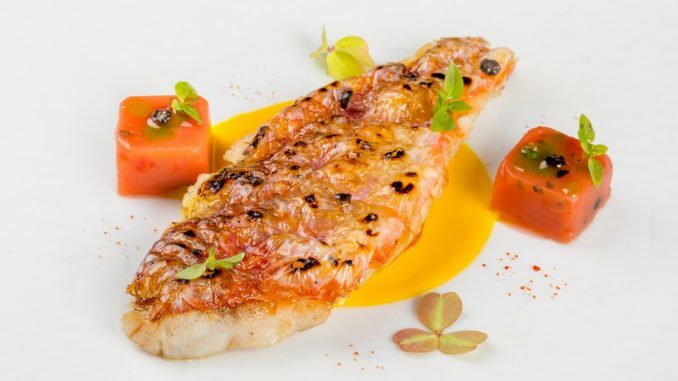 Due to its high fat content and subsequently more robust flavour, Red Mullet requires simpler cooking methods than other white fish and tastes best when not over-complicated. The dish is completed with an Amaretto sauce, complimenting the fish with a subtle sweet almond kick. 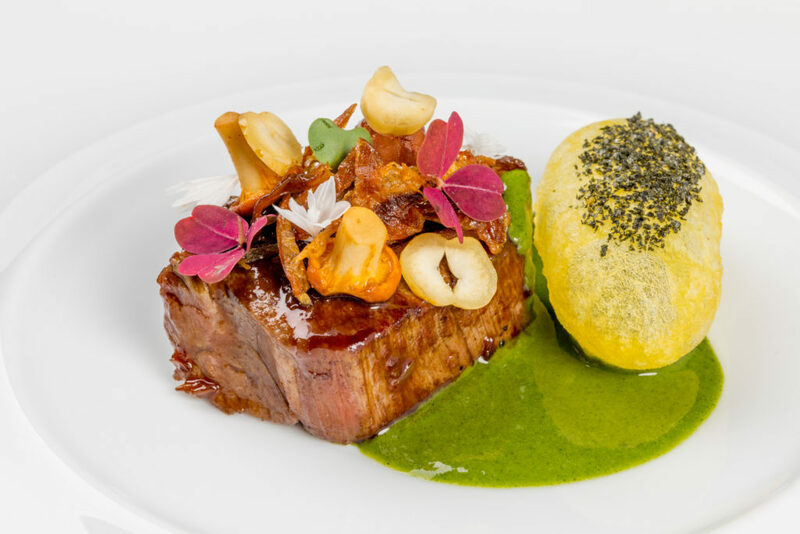 Other highlights from the main course menu include the Wagyu beef and the Mesclun salad which is served with an irresistible truffle oil vinaigrette. As you would expect from a restaurant in Paris. the dining experience continued to get better at desert. A plethora of options including a chocolate souffle, a Tahiti vanilla crunch and a marinated kiwi were considered for this course, but I had to opt for the restaurant’s signature dessert; the Meringue Flower. 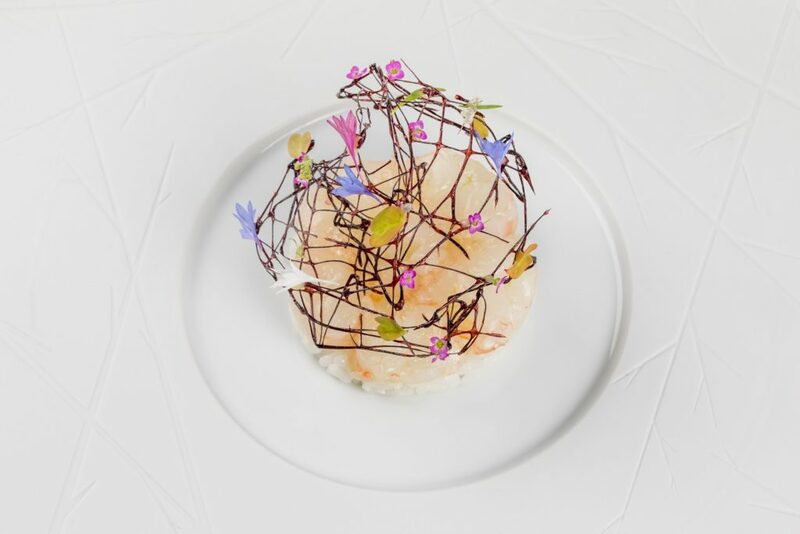 The Meringue Flower is the dish that you will see littered across social media and is a dish that is as visually stunning as it is delicious. Once I had taken enough photographs to satisfy each of my social media channels, I finally got around to sampling the sweet treat. The Meringue was beautifully chewy and was paired with citrus and fresh herbs ensuring that the meal concluded on a lighter note than if I had opted for the chocolate soufflé. L’Orangerie proved to be the perfect setting for my wife’s special occasion. Located within an illustrious hotel in the world’s most romantic city, it boasts top-tier service, an elegant-ambiance as well as the delightful cooking of Alan Taudon. L’Orangerie ticked every box and whilst the bill was not cheap the whole experience was one that will be difficult to top. Merci pour le repas! L’Orangerie at Four Seasons Hotel George V, 31 avenue George V, Paris, France. The restaurant is located inside the Four Seasons Hotel George V just off the Avenue des Champs-Élysées. The nearest metro station is George V. Open for lunch from 12:30 to 2:30pm and dinner from 7:00pm to 10:30pm. 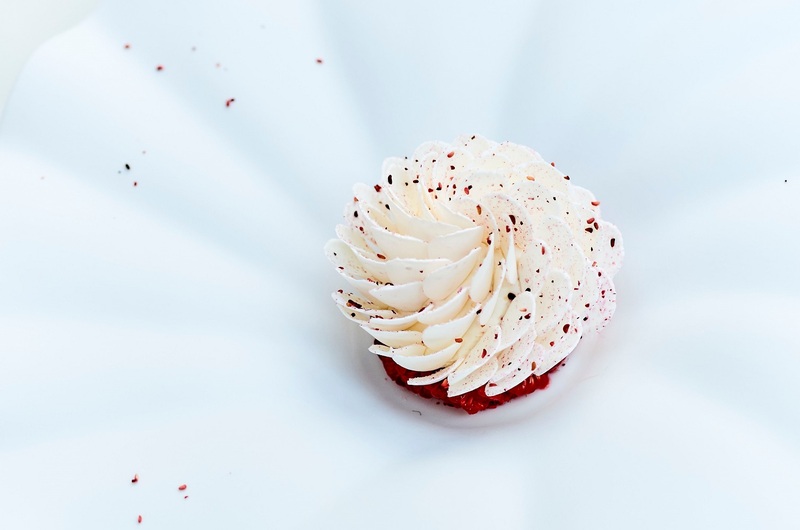 Insider Tip: For dessert the signature Meringue Flower is a must. Jack David is a London based music industry professional with a passion for writing and travel. He has previously written for lifestyle publications Flavourmag and tmrw Magazine.